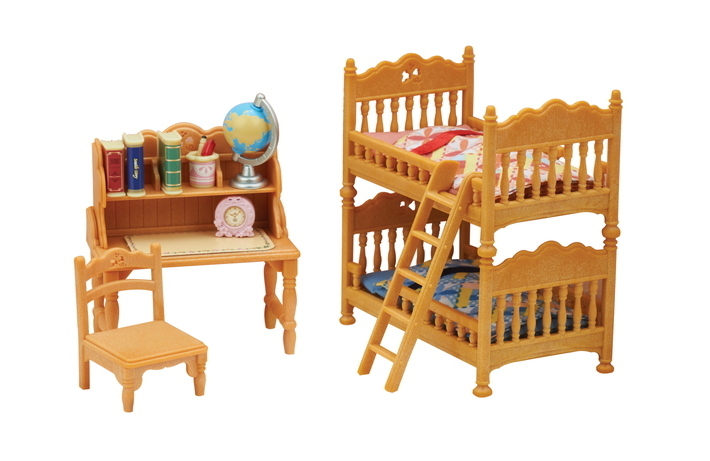 Children's Bedroom Set includes a bed and desk for creating a child's bedroom. Children's Bedroom Set features beds that can be detached and used individually, or together as a bunk bed. the globe can be spun around. The shelving on top of the desk can be removed to create a simpler desk. 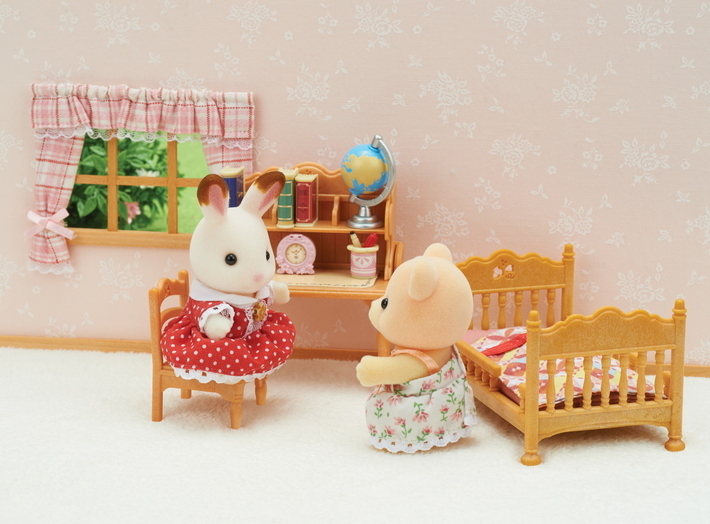 Combining with other figures and furniture sets from the children's room series allows for even more enjoyable pretend play (sold separately). 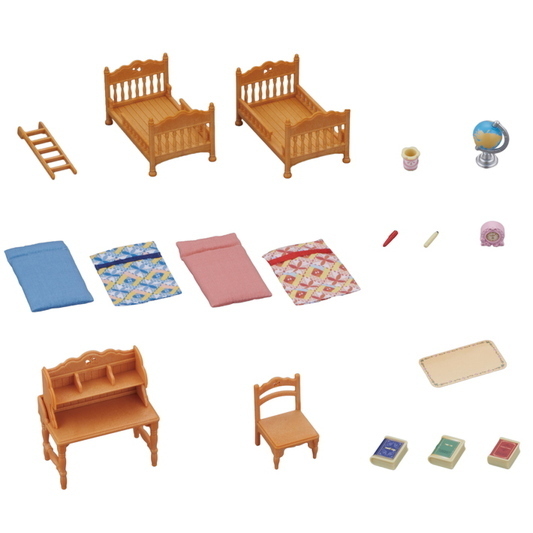 •Furniture set with accessories: bed, mattress, ladder, child's desk, chair, books, globe, etc. •The upper bed can be detached, and placed next to the lower bed. •The shelving on top of the desk can be detached.